Natural beauty. Sustainability. High quality… We are Premier Copper Products! 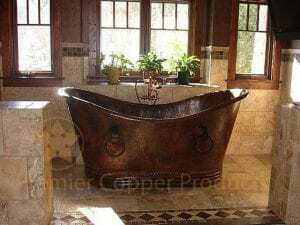 Premier Copper Products is a family-owned business committed to designing and importing durable, affordable, eco-friendly copper products and solutions for homes and businesses. Our products are hand-crafted in Mexico by skilled artisans, while inventory is managed from our Phoenix, Arizona-based warehouse. Attention to detail is evident in each of our hand-hammered copper products – from traditional or apron-front sinks to elegant bathtubs, to an array of authentic copper home accessories. Timeless Elegance. A Modern Approach. The majority of our products are readily available to ship with custom orders typically available in as little as four weeks. Why Choose Premier Copper Products? 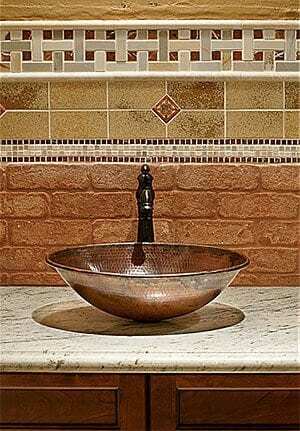 Our products are durable and elegant yet affordable (typically under $500 for a sink install). Each and every product is made from 99.7% pure “grade A” copper that is rust-resistant and will last for generations. Our products meet rigorous quality control standards. The natural patina of our copper products offers a timeless beauty and elegance along with antibacterial properties that keep germs at bay. Our designs lend a distinctive modern-meets-rustic charm to kitchens, bathrooms, entryways, and more. As one of the most recyclable metals on the planet, copper is a green, eco-friendly home décor option. We offer a full range of copper products and accessories, including drains, faucets, switch plates, tiles, mirrors, coordinating bath accessories, protective wax, and a specially made silicone caulk that is color matched and non-reactive. Premier Copper Products aims to provide naturally beautiful, high-quality, hand-crafted copper products that embrace affordability and sustainability. We consider “green living” to be much more than a trendy topic. That’s why Premier Copper Products is truly a REDUCE, REUSE, and RECYCLE company, fully committed to providing eco-friendly, recyclable copper home décor products and solutions. Using a 99.7% pure “grade A” copper that has been reclaimed and recycled, our sinks and tubs feature a naturally beautiful patina that also comprises antibacterial properties. Therefore, our products are built to look beautiful and also endure for generations while keeping families safe from germs and harsh chemical agents. We further minimize our ecological footprint through sustainable packaging that is compostable and recyclable.